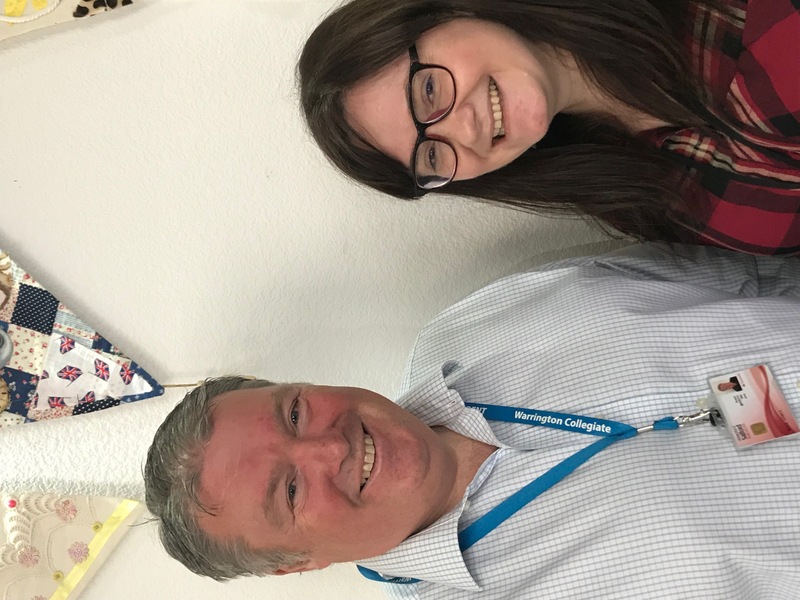 LifeTime would like to say a big thank you and farewell to Mike and Claire – third year Occupational Therapy students from the University of Salford – who have just finished a six-week placement with us. We wish them all the best for the future in their studies and their careers. Here they talk to us about their work at LifeTime over the six-weeks and the impact LifeTime can have for people we support in Warrington. “As Occupational Therapy students we have been focused on providing activities that are relevant and appropriate for each person individually, and facilitating an environment that increases social interaction between LifeTime members, and therefore reduces negative social symptoms. “Throughout the duration of our placement with LifeTime, we have attempted to compliment the evidential-based knowledge from university with the practical person-centred activities provided at the LifeTime centre and the further community activities. “The correlation between the two is inextricably linked and proves that targeting a prevention based low key approach will have positive results for the people of Warrington. “We have introduced some new and old activities to the weekly calendar at LifeTime such as a relaxation class, all weather crown green bowling and specific museum exhibition presentations. “Identifying new activities and using local authority facilities to enhance the community spirit within the suburbs of Warrington is essential to creating a greater physical and mental health and wellbeing for its community.